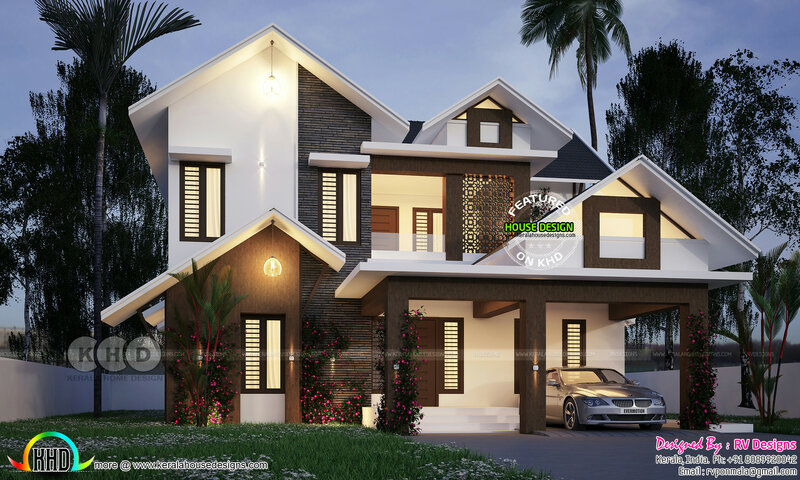 2890 Square Feet (268 Square Meter) (321 Square yards) 4 bedroom house plan in mixed roof style. Design provided by RV designs, Malappuram, Kerala. 0 comments on "July 2018 house plans starts here - 2890 sq-ft home"